Chances of winning the jackpot in the lottery are rather slim, if not improbable for most of us. 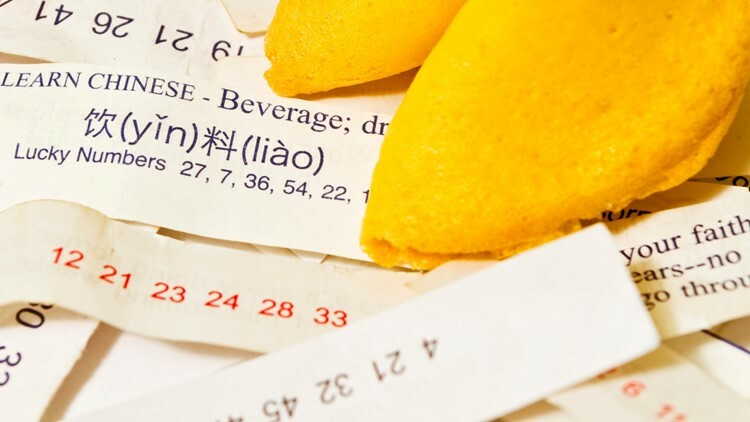 But fortune cookies are surprisingly proving to be quite the lucky charm for several people- as some contain the winning numbers to the lottery. Ronnie Martin is a frequent lottery contestant as it has become his habit to drop by at a gas station every day to pick up a few lottery tickets on his long drive to work from Pennsylvania to New Jersey. Little did he expect that he will finally have his once in a lifetime winning moment when he won $1 million in the New Jersey Lottery latest draw this week. Like many lottery hopefuls, Martin has his favorite numbers combination. But unlike many, those numbers do not necessarily have a significant personal meaning to his life like important dates, etc. Instead, the lucky numbers he’s been holding on to just came out of a fortune cookie he had bought years ago. Martin and his wife are planning to use his prize money- a fortune in every sense- to pay off their house and other bills, while putting the rest for their savings. Martin joins the growing list of lucky lottery winners whose winning numbers combination came from fortune cookies. Just last April, a Maryland woman won a $30,070 lottery jackpot from lucky numbers listed inside her fortune cookie. In 2015, a lucky Florida man won a whopping $10 million lottery jackpot and said the winning numbers he picked came from a fortune cookie given to him by a North Carolina restaurant. In 2005, a record 110 players won $500,000 and $100,000 prizes in the Powerball drawing. Most of the winners drew their winning numbers from fortune cookies, too taken from Chinese food. In 2014, a then 75-year-old woman won $2 million playing the Powerball, and she also used the numbers that were printed on her fortune cookie. People winning the lottery using numbers they saw printed on fortune cookies they’ve picked or were given to them happened several other times in 1995, 2005, 2015 and this year. Maybe there’s a reason why they’re called “fortune” cookie after all as they can indeed if the holder’s lucky change fortunes.